Uncle Julio’s is a Mexican from scratch kitchen serving only the freshest ingredients. Specialties: chicken & steak fajitas, tender filet mignon, and bacon wrapped shrimp. 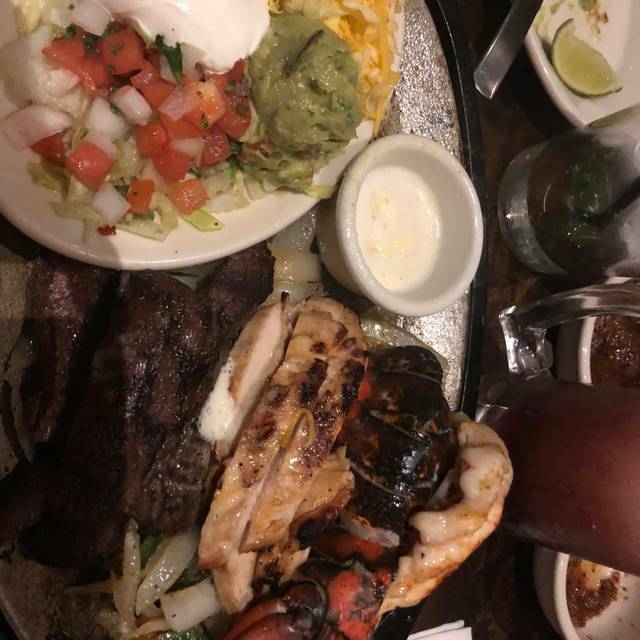 Other favorites include: seafood fajitas, shrimp al pastor, and ahi tuna served with homemade corn tortillas or bibb lettuce. We’ve been to a number of Uncle Julio’s, but this is the first time we’ve dined here. Ethan was our server and he was one of the most pleasant people I’ve ever come across. He was patient, attentive and very courteous. We ordered fajitas. My first time getting the lobster tail and I was not disappointed. We thoroughly enjoyed our meals and this might be the location of choice now. Food is tremendously good. My wife and I love the taste of their food. We will be back again as always. Had fun and our waiter was awesome! Complaints: The waiter seemed rushed and kept telling us what he had to do-which was really weird. He even sat down and said “don’t tell my boss” while taking our order. We also ended up waiting an extra 20ish minutes even though we had a reservation. Awesome food though! Very Disappointing. The prices were high and the food was just OK. 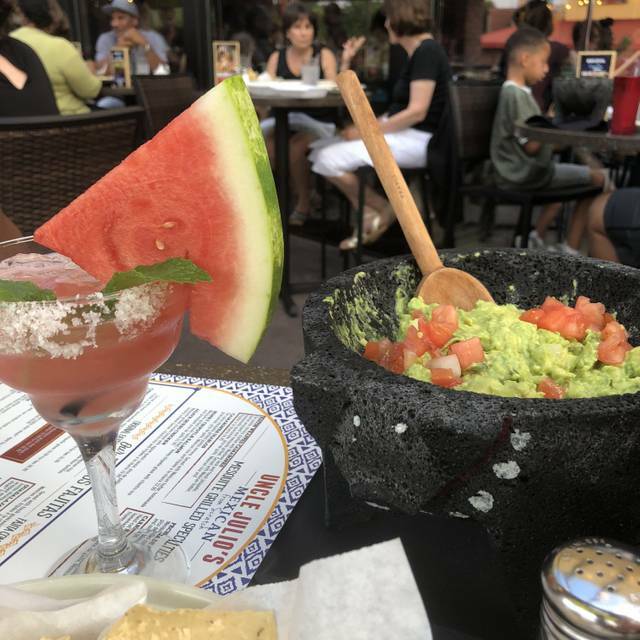 The table-side guacamole was excellent. The booth was too small for a part of 4. It felt cramped. No room at all on the table if you get fajitas. My son enjoyed hitting the chocolate piñata with a mallet on his birthday! Kids meals were great and reasonably priced. Food so I ordered soup. Ambience & decor was amazing!! I would recommend it for a special family outing! This is our new spot! We loved everything about this place- food, atmosphere, how quickly we received our food and our waitress Priscilla. Priscilla is so warm, friendly and made our evening great with food & drink suggestions and conversation. Looking forward to coming back soon. BabyGirl, thank you very much! The food and service was excellent! No a place to go to if you want to have intimate conversation. Very loud on Saturday afternoon. Great drinks try the El Jeffe. The food was delicious; the service, outstanding; however it was so noisy we were unable to converse with our friends. Super dirty. Bathroom and under tables. Dinner was amazing and since it was on a Tuesday we were not in a rush. Our waiter was excellent. We went there for my husbands birthday and had a great time. The weather was beautiful so we sat outside on the patio. The good was amazing. Very bad experience at the Annapolis, MD location. The food was bland, cold and overpriced, but even worse was the service. Waitress rarely checked in with us, we continually had to ask other servers to grab her, she constantly forgot things and took us an hour to just pay the check. We enjoyed a lovely lunch in the middle of the day. It was not crowded and the food was excellent! The layout and scenery were really nice. The staff was very, very friendly and the food was really good. The chocolate piñata was fun and very good to eat as well. And the waiter was very attentive. It is hard to get in so use reservations if possible for a larger group. It is a bit on the pricy side so not an every day thing necessarily however for a family outing to dinner and making it an event, this is a great place! I was disappointed that my server stated you didn’t have gluten free options other than pork carnitas tacos until I asked to speak with a manager. I ordered ahi tuna tacos but could not have the sides so it was not a spectacular experience this time around. 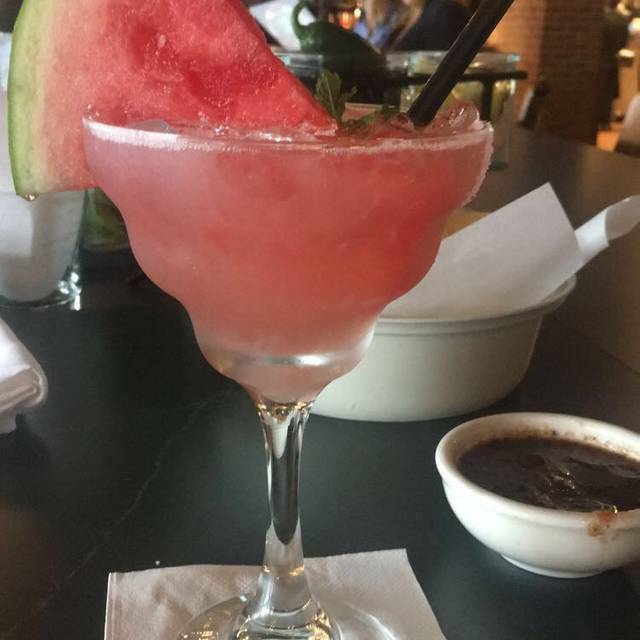 The margarita I had was good though. The food was excellent, but the server, Victor was terrible! Disappeared for 20 minutes and when he came around, didn't even check on our table. We were trying to order more drinks. He acted as if he was scared of us. We did tell the Manager, and they gave us a card for free Guacamole. The Food was outstanding!! Drinks were awesome!! Service was the best part!! I'm going back! This was our second experience at this location and we had the same waiter as our first time. The service that he provided was better than any that I have ever received. I would absolutely come back and recommend the Annapolis location to my friends and colleagues. Excellent TexMex food. Service is fast, food is plentiful. Problem it's that unless you have a reservation there is always a wait and the place is very noisy. 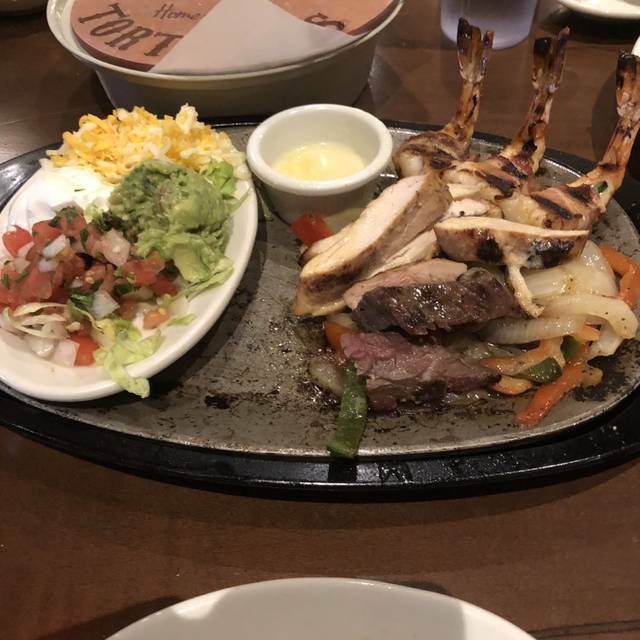 Having said that the fajitas are the best. My 5th time there and they always deliver a quality experience !! Erica, thank you...we are thrilled you are experiencing the very best we have to offer. It's a pleasure serving you. 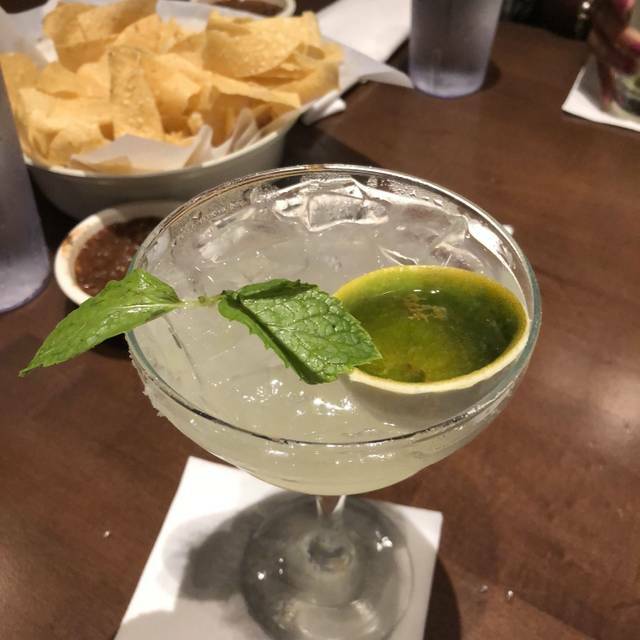 This was my first visit to uncle Julio‘s and everything was excellent I will return. This was our second visit in five days. The service and food were just as good as the first. I will say it is much easier to get a table same-day on a Monday than Thursday thru Sunday. What a nice celebration for my mother’s 92nd birthday. 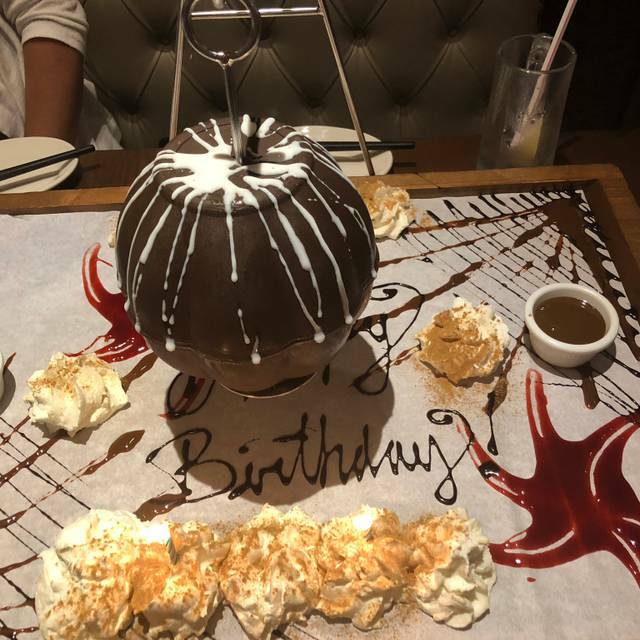 Our server made it really special for her. We enjoyed our visit to Uncle Julio’s. The food was delicious. We had a great time sitting near the tortilla making. We ordered the piñata but was sadly disappointed by the fruit being sour/bitter. Besides that we enjoyed ourselves. the service was great and our food came out so fast! We had a reservation and still waiting 30 minutes before we sat down. Half of our party of six received their food 15 minutes before the other half of our party. 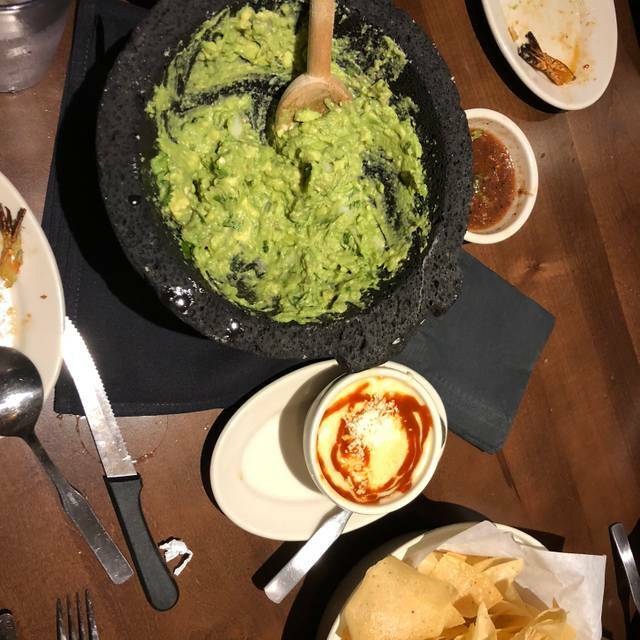 We ordered table side guacamole and the first half of the food came before we received the chips and plates for our appetizer. It wasn’t the evening we were hoping for. Server seemed distracted and kept wandering off without taking orders for drinks and food for all parties. 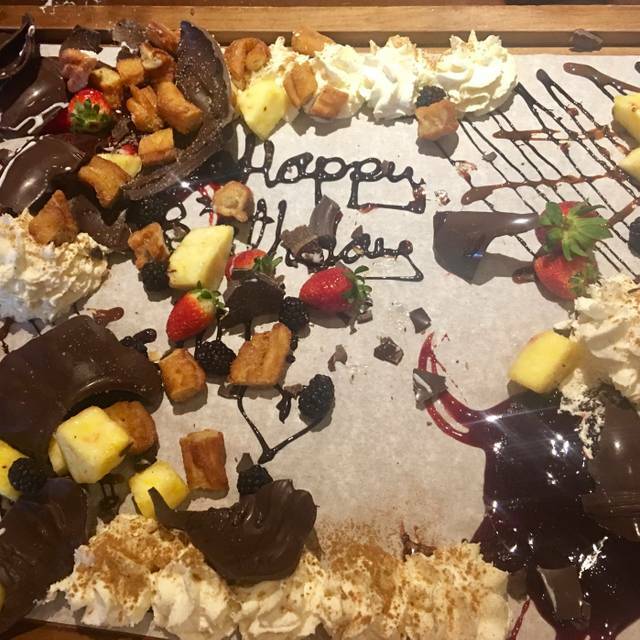 Great food, great atmosphere, great for birthday celebrations. Will return soon. It gets pretty crowded so a reservation would be best. It was excellent. The waitress was away!!!! Our first visit and we will be back. 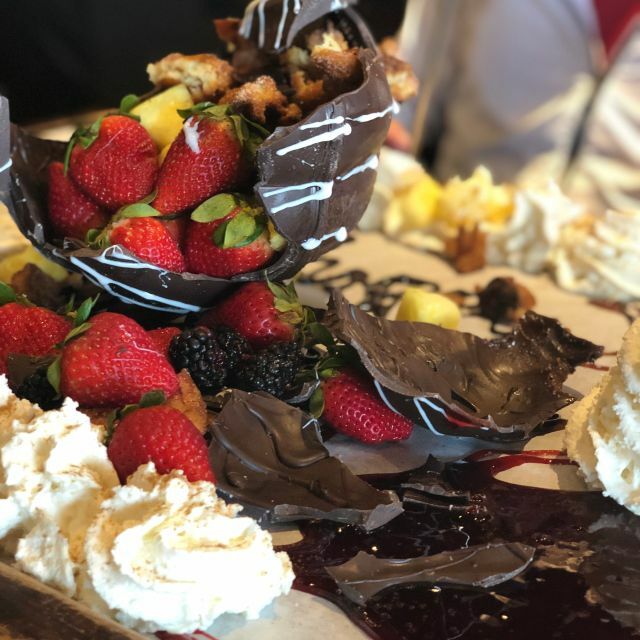 Suggest reserving a table in advance during busy times and if you plan to order the famous chocolate piñata for dessert put the order in with the rest of the food.